The Kingdom of Korea lasted for 600 years until it became a Japanese colony in the early part of the last century. In 1945, the Soviet Union and the United States agreed on the surrender of Japanese forces in Korea partitioned along the 38th parallel, with the north under Soviet occupation and the south under the American umbrella. Whilst both areas are now ‘Republics’ in their own right, in essence nothing has changed. A savage war between the two took place from 1950 until 1953 when an armistice was signed. This has never been turned into a full peace agreement. During the conflict Seoul changed hands three times, China backing the North and the United Nations the flag bearer for the South. 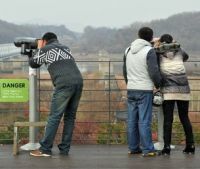 Tensions remain to this day but a visitor to prosperous Seoul would hardly realise that just 20 miles away is the border with one of the harshest nations on earth. In 1988 South Korea hosted the Olympics, a cornerstone in the country’s development, with Great Britain taking five gold medals including the men’s hockey and (for the second time) Steve Redgrave, with the late Andy Holmes, in the coxless pairs. Today Samsung is the world’s leading electronics company and more and more Kia cars are being seen in the UK, albeit built in Romania. This was the setting for the WTTC gathering held in the Korean capital last week. 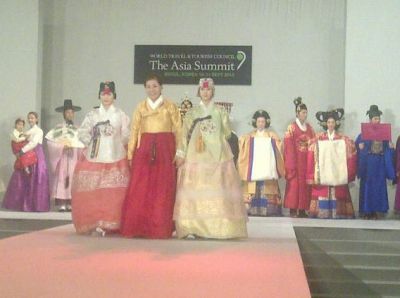 The venue was the landmark Lotte Hotel at the very centre of Seoul. 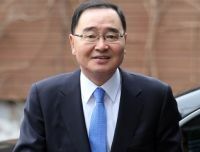 With the Winter Olympics due to be held in South Korea in 2018, the winning of the summer games by Tokyo for 2020 the previous weekend much applauded by every speaker including the Korean Prime Minister Chung Hongwon, who officially opened the proceedings. Keynote speaker Tony Blair (see below) said that award of the 2012 games to Singapore was the most memorable occasion of his Premiership. WTTC was established in 1990 after an initial meeting in Paris the previous year between a number of industry leaders. Henry Kissinger presented a powerful message at the gathering confirming that they were under-represented as one of the world's biggest industries and were not recognised because they were too fragmented. Today WTTC, as a non-profit, non-governmental organisation (NGO), covers all sectors of an industry which supports 255m jobs and generates 9% world GDP. At the assembly the 450 delegates were told that global tourism will grow by 3% this year – generating US$6.8tr (£4.4tr). The predicted figures for travel are astronomical when it comes to China, but interestingly international journeys only represents 20% of tourism globally, the rest domestic. 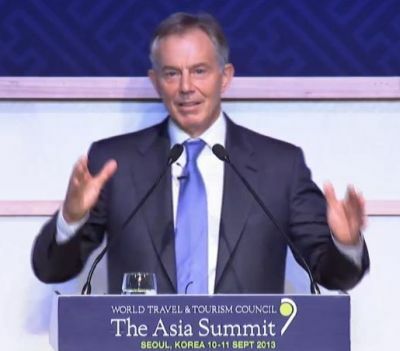 WTTC’s major international gatherings have always been high profile with former US President Bill Clinton the headline speaker earlier this year for the global assembly in Abu Dhabi, and now Tony Blair, his contemporary as British Prime Minister, giving the opening address in Seoul. Mr Blair was in fine form praising tourism, a barrister at his best. Other than a soft Syria enquiry by session chairman, WTTC President and CEO, David Scowsill, no questioning was allowed (except by Twitter on a large screen the stage could see but, for the most part, was not really visible to the audience, and largely ignored by the speaker). Everyone wanted to know how the UK’s high APD fitted into world tourism, but that subject was clearly not on the agenda. It was a quick in and out for Mr Blair, impressive but unsustaining. In his speech Mr Blair emphasised the need for cross-cultural understanding and cooperation. “In a world that is interdependent, it’s the connected people that win, and the future belongs to the open-minded”, he explained highlighting tourism. “We need to know about each other because it is ignorance that breeds fear and fear that breeds conflict”. Mr Blair is the Special Envoy to the Quartet on the Middle East, a group of national and international entities striving to solve the Israeli-Palestinian conflict. He explained that since leaving office he has visited Jerusalem 106 times. Lightly pressed on Syria he was coy, once a lawyer but still very much a politician without a definitive answer. However he did say that the old fashioned autocracy does not work in a changing society and that inter religion rivalry (and between sects of a single religion) must not continue to fester. He was pro the current leadership situation in Egypt. “Peace is essential to tourism in the country”, he said. Sessions followed covering Asia’s increasingly important political, economic and social place in the world and specifically South Korea with its innovation and huge potential. Perhaps one of the most interesting sittings was the morning discussion on the second day chaired by Christopher Rodrigues, Chairman of Visit Britain. He noted that security was vital but he said that national entry and exit facilities needed to be improved and continued at a high standard, pointing out that Heathrow was a pleasure to use during the eight week Olympic period last year. “This sort of welcome must be achieved continuously”, he said. In a session called Called “Removing the barriers” progress was noted in trying to organise a passport free region in the east similar to the Schengen Area in Europe which includes Norway and Iceland, not members of the EU. The APEC (Asia-Pacific Economic Cooperation group – 21 countries on the Pacific rim) Business Travel Card is a travel document issued to business travellers who are citizens of APEC participating economies. Valid for three years, the card eliminates the need for its holder to possess a visa when visiting other APEC participating economies as long as pre-clearance has been obtained during the application process. For business people who have rapidly changing schedules it is ideal. European participation is not the case at present although progress is being made with regard to Canada and the US. Summing up at the end of the summit David Scowsill said that the summit highlighted a region that was vibrant and confident, that will bring opportunities in the coming years and one that wants to take leadership. His words were unequivocal: “Use the industry as an instrument for peace, avoid mistakes and work with one voice with government. However vision will only be recognised if governments support the industry”.